Cape Meares NWR is part of the Oregon Coastal Refuge Complex. The complex includes 6 refuges along the coast. The largest (and most amazing!) refuge is the Oregon Islands NWR. Read the following from their website and give thanks to the foresight of the people working with the Franklin D. Roosevelt administration to protect these places. Excellent protection of an amazing quantity of land. As a native born Oregonian I take great pride in the fact that all 363 miles of the Oregon Coast are public lands. And most of that is automobile-free. I spent many days camping with my family at the Oregon coast as we were growing up. It is in my bones and I go back as often as I can. I love the sandy beaches, the rocky outcrops with tide pools, the lush mossy towering forests and the craggy headlands and capes. Cape Meares is 8.5 miles west of the town of Tillamook. You need to venture off Hwy 101 to get there and you can make a scenic loop by continuing through the small beachfront community of Oceanside. 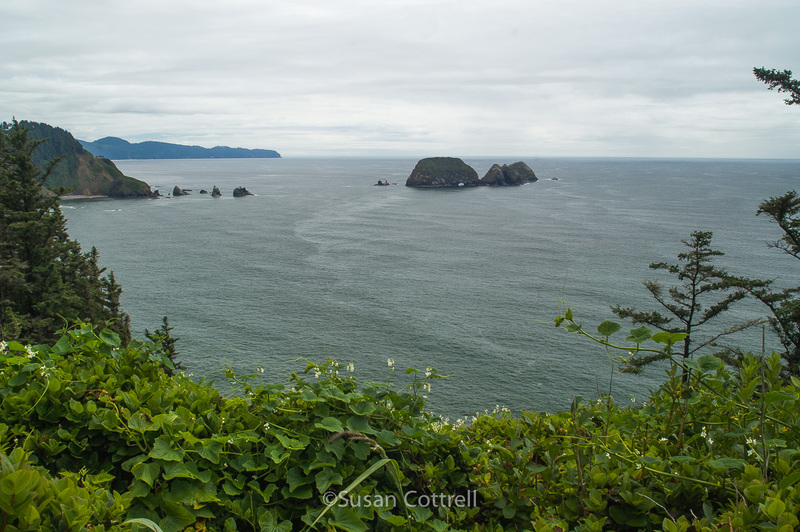 The views from Cape Meares are stunning. 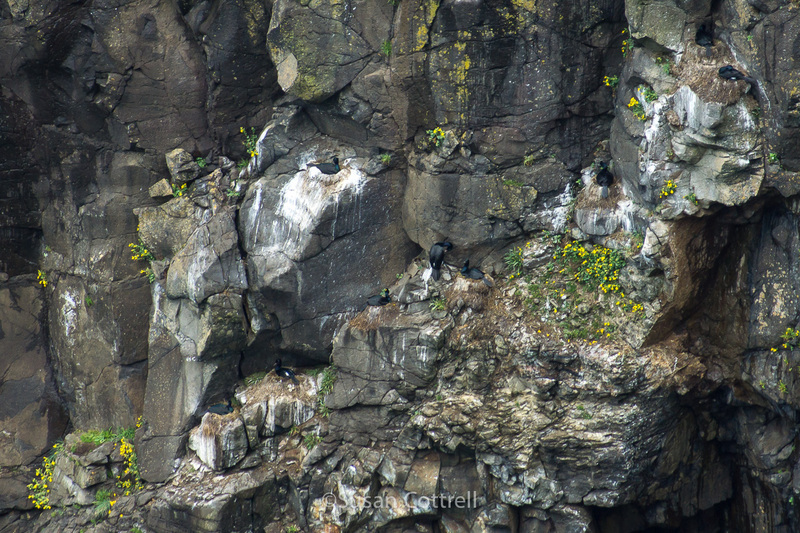 There are thousands of nesting birds, seals and sea lions haul out on the off shore rocks, gray whales cruise by on migration, the Sitka Spruce are legendary and there is even a lighthouse. 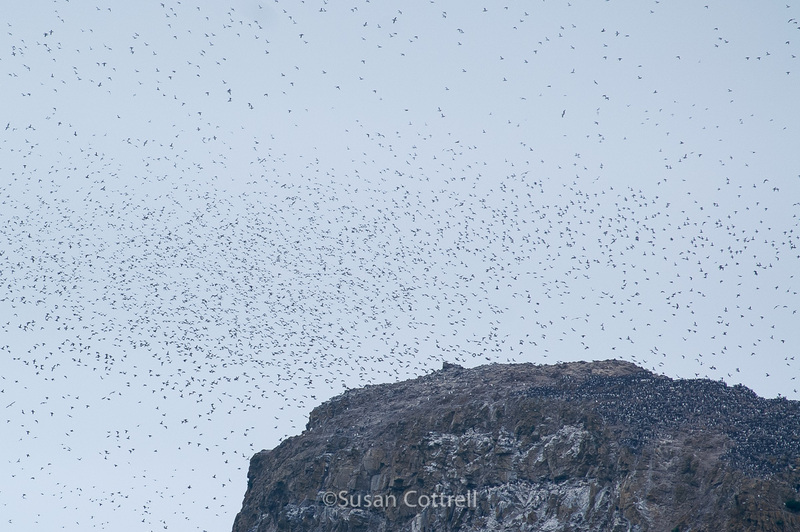 Peregrine Falcons also nest here and they are an impressive sight to watch as they hunt. They are the fastest animal on the earth and have been recorded going 240 mph in a stoop. 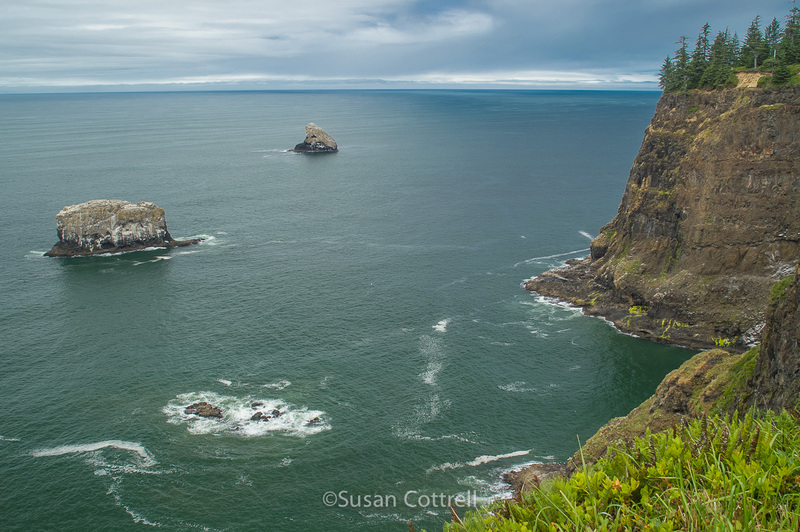 Three Arch Rocks NWR is just south of Cape Meares and was the first NWR west of the Mississippi. President Theodore Roosevelt named it in 1907 after 2 conservationists came to him with stories and photographs of sport hunters using the nesting birds for target practice. These two refuges were historically home to the largest breeding colonies of seabirds south of Alaska, in particular the Common Murre. In recent years predation by Bald Eagles has drastically reduced the population. The history of this area is fascinating and could easily fill a book. But this is not that, so read more on the internet or library if you care to. 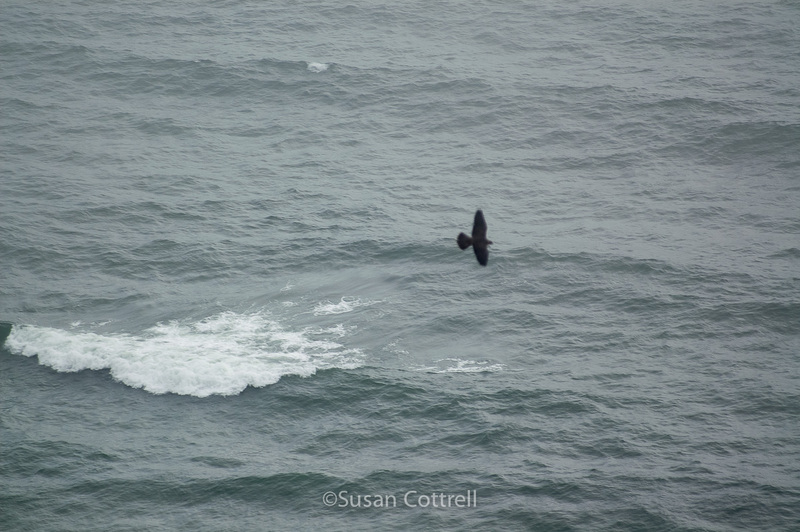 But for now here are a few photos of Cape Meares. 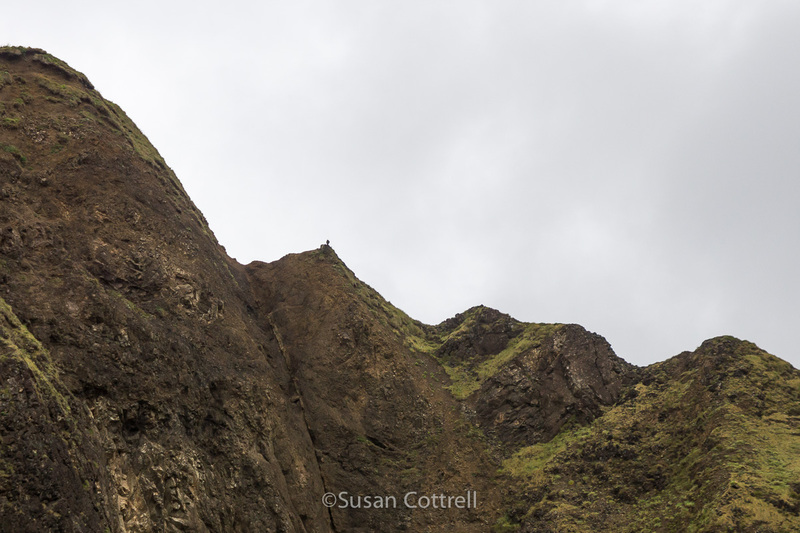 How to find a Peregrine Falcon- Look up, check ridge lines. There it is. 13 Oct	This entry was published on October 13, 2015 at 21:56. 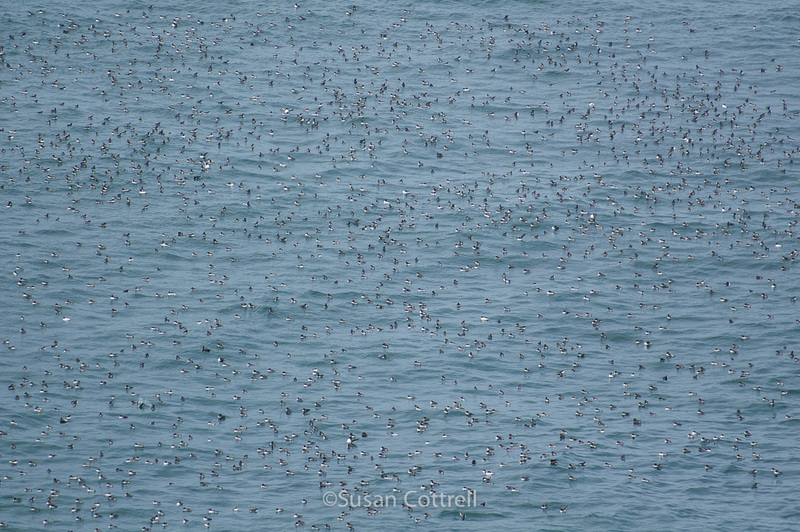 It’s filed under Birds, Coast, Nature, Pacific Northwest and tagged beach, Common Murre, lighthouse, national wildlife refuge, natural history, nature, NWR, Oregon, Oregon coast, Pacific Coast, Pelagic Cormorant, Peregrine Falcon, refuge, wildlife refuge. Bookmark the permalink. Follow any comments here with the RSS feed for this post. Thanks for doing this series Susan, your travelogs are giving me ideas! You’re welcome! This is fun to do! Gorgeous!! I want to go!